Attorney Dana Roberts is a personal injury civil trial lawyer and a founding partner of Knapp & Roberts in Scottsdale, Arizona. 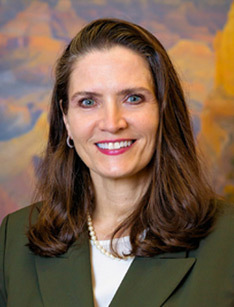 She is licensed to practice law in Arizona and Missouri. Mrs. Roberts focuses her law practice on serious personal injury and wrongful death. As a Phoenix nursing home neglect lawyer, she has the compassion and skills to seek damages on behalf of the victim’s estate and family when elder abuse claims a life. She also handles other personal injury cases that cause serious, life-changing personal injury. 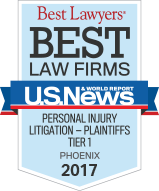 As an experienced Phoenix injury lawyer, she helps insurance companies and juries understand the extent of a victim’s injuries. Trial lawyer Roberts also handles complex litigation involving medical malpractice, elder abuse, nursing home negligence, dangerous pharmaceuticals, defective medical devices, and defective products. Dana Roberts is a graduate of University of Missouri (1987) and Saint Louis University School of Law (1990). Mrs. Roberts was born in St. Louis, Missouri in 1965.